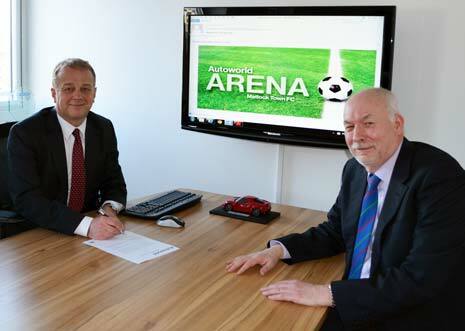 Matlock Town's ground will now be known as the 'Autoworld Arena', as details of the exciting new sponsorship deal emerged this week. Gladiators' Chairman Tom Wright confirmed that negotiations were successfully completed on Monday afternoon, on what he had described as a "lucrative deal" for the club. The Chesterfield based motor dealership will also be sponsoring the new Social Club which will become the Autoworld Lounge. "The sponsorship comes into effect immediately for the rest of the season and for a further two years" Tom explained. "Naturally, we're delighted that the deal has gone through successfully. "To be involved with a company of this stature is a great privilege for us, we'd like to welcome Autoworld into the Matlock family and we look forward to a mutually long and successful relationship with them." Tom Wright has worked hand in hand with Vice President and current Stadium Sponsor, Dave Reynolds, to secure the deal. "It would be remiss not to recognise the contribution from Dave over the years - and the fact that he still continues to help the club in so many ways. "It should be the start of a new era for the club as we move on from the Reynolds Stadium to the Autoworld Arena," Tom added. Autoworld's Managing Director Tony Cordin is enthusiastic in his support for Matlock, a club he first watched in an FA Cup First Round Proper tie against Blackburn Rovers in November 1974. "I'm delighted that Autoworld are able to back another local club in the local community and we wish everyone at the club all the best for the future. Tom Wright and Dave Reynolds deserve great praise for their persistence in securing this sponsorship." 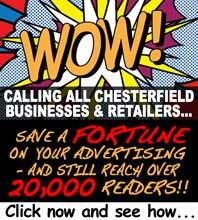 Autoworld also sponsor Chesterfield FC and Derbyshire County Cricket Club.